Composite decking has become very popular over the past two decades. These decks are constructed of a synthetic wood material that has become popularized as a maintenance free alternative to wood. This all sounded great in the early 2000's but as the years have past it has been found that they are not maintenance free and can actually have more issues than traditional wood decks. The leading manufacturer, Trex has been involved in multiple class action lawsuits as well. We will go over some very common problems here. One of the most common complaints about composite decking is mold. Decking that is in shaded area or areas that tend to get wet frequently have been shown to grow mold and stain the deck. This is not restricted to composite decking. 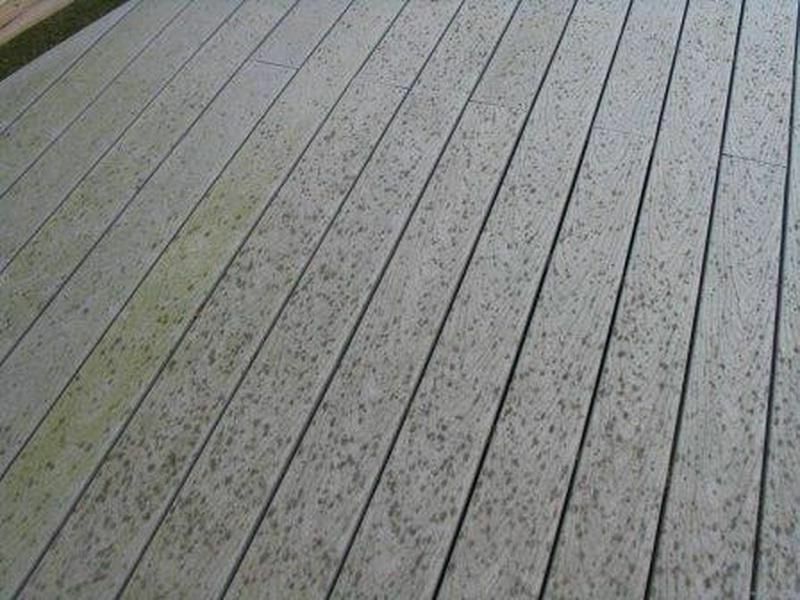 Wood decking can grow mold, mildew and algae. For wood decking, the remedy for would is cleaning and re staining. 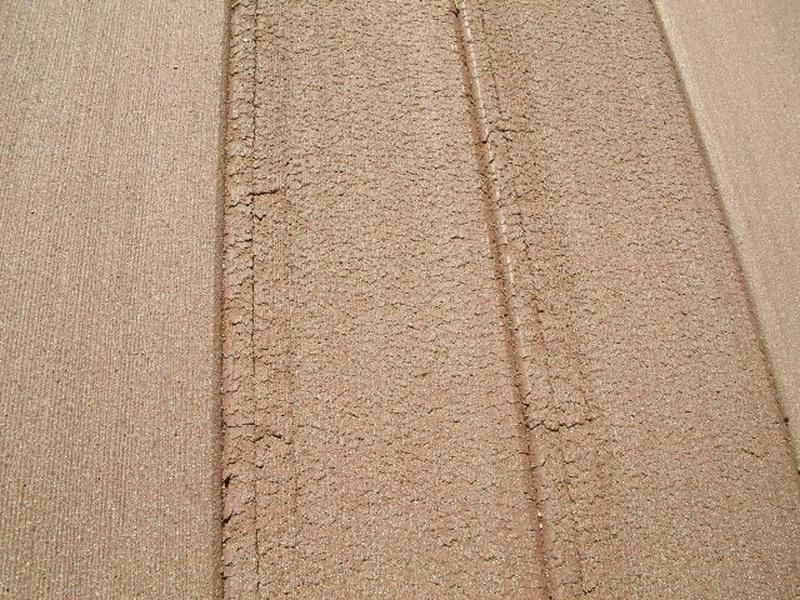 Composite decking requires using special cleaning chemicals that will kill the mold and remove some of the finish. This will leave the decking more porous and susceptible to more mold growth. Many of the composite decking companies have beautiful brochures with images of elaborate decks of different colors and looks, many of these companies will not show you the deck several years later when it is faded from contact with the sunlight. Everybody knows color fades in the sun, but composite decking companies seem to be oblivious to what their products are really capable of. Some composite decking has faded so quickly in just a couple of seasons that replacements boards stand out like a sore thumb. Trex actually admits this on their own website when referring to their older generation products. Composite decking is made of a combination of wood and plastic. This combination is intended to reduce chance of rot and extend the life of the deck, however the material is not indestructible. The surface of the boards can be scratched rather easily. Potential Solutions - You probably invested in a composite deck or inherited one from your home's previous owner thinking you would not have to stain it or maintain it like a wooden deck, sadly that is not the case. Trex has Acknowledged their color fading and since it is not covered in their "warranty" have actually recommended staining these decks in a similar fashion to traditional wooden decks. There are actually many brands that have created lines of solid deck stain to restore these faded decks. Let us share our expertise with you! With 14 years in this industry I have come across all types of situations when it comes to exterior restoration. No two decks or homes are the same, so in addition to offering free in-person estimates we also want to provide free articles here in this blog space. Feel free to do your own research by scrolling these articles I have written based on experiences I have had that I believe will make your experience working with us easier. "Here at Pristine we are committed to providing and maintaining your total satisfaction as a customer"